In April, Mr Rijiju first posted a 37-second clip of Mr Rathore doing push-ups on an exercise ball to the sounds of "Eye of the Tiger," the theme song from the classic film Rocky. In April, Kiren Rijiju first posted a 37-second clip of Rajyavardhan Rathore doing push-ups. 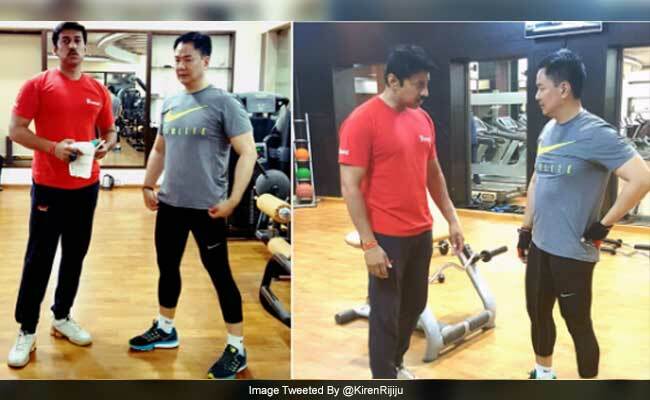 New Delhi: The gym workout of two union ministers, Kiren Rijiju and Rajyavardhan Rathore, became a huge hit online recently. One of them is an Olympics medalist. The other is confident he could have been one. If only. "He (Mr Rathore) is an Olympian but I must say that if I had the same facilities, I would have also gone to the Olympics,'' Mr Rijiju, the Minister of State for Home Affairs, told NDTV. In April, Mr Rijiju first posted a 37-second clip of Mr Rathore doing push-ups on an exercise ball to the sounds of "Eye of the Tiger," the theme song from the classic film Rocky. Twitter was flooded with the hashtag #FitnessGoals. "While doing duty we've no time for physical fitness. But my Olympian colleague...gives me a tough challenge," he captioned. He admitted that he was inspired to take 30 minutes out of his busy day to work out. 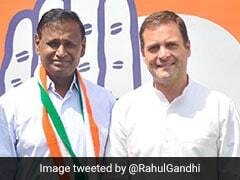 In response, Mr Rathore, the Minister of State for Information and Broadcasting, posted: "Ha ha ha...despite your hectic schedule, you are beyond competition and an inspiration." The day after, Mr Rijiju followed it up by posting a video of his own gym workout, and tweeted: "Young friends, stay away from drugs, be fit. Let's build Narendra Modiji's #NewIndia dream. I took out 30 minutes from work two respond." Speaking on those videos, Mr Rijiju grinned, "I got so many responses on social media about his video that I thought I can also show mine." Mr Rijiju, 45, is known to be one of the fittest ministers in the government and one most likely to be found in a gym even when he is travelling.